A piece inspired by Babylonian music. Through years of research, archeologists have been lead to believe that, in Babylon, the Oud was played using the thumb and index finger of the right hand without the use of a plectrum or risha. Iraqi Jazz, released in 2015, is a piece composed for the Oud Qanoun, Saxophone (playing quarter-tones) and percussions. The piece is composed based on 4 Iraqi maqams. The Sharq Rasr, Aushar and Mokhalf are used exclusively in Iraq while maqam Nahawand is used more widely in various regions of the Middle-East. 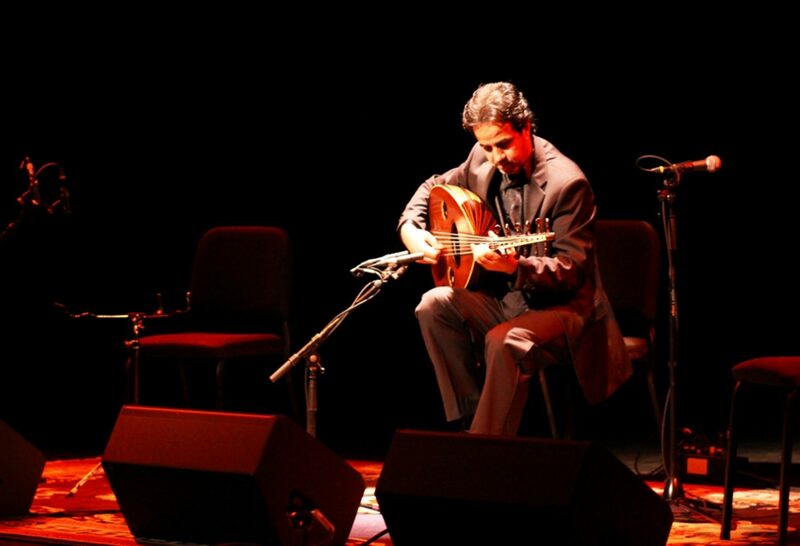 The Samaa’i is one of the oldest forms of Middle-Eastern and North African music. It consists of four movements; three of which are composed using different maqams. The rhythm used is 10/8 time for all movements except the last which uses 7/8 time. This piece was written using Maqam Hijaz, Kurd, Rast and Hozam Hijaz. It was inspired by the air of the Caliphate palace courtyard. Samaa’i Baghdad, a track release on the record “The Road to Baghdad”, was inspired by the city itself dating back to the Ottoman period (1299 – 1923 AD). This classical form of music was composed using Maqam Kurd and its many modulations. Traditionally, the whole piece is meticulously composed. However, in this instance, Mukhtar has left each movement to be open to improvisations by the musicians performing the piece, allowing others to become part of the creative process. Also, each movement in a samaa’i is composed using a single maqam. But here, Mukhtar uses two in ever movement. Further still, rather than using traditional rhythms to compose this piece, Mukhtar has created and used a unique rhythm which he has called: Mukhtar Rhythm.